30 tracks from 1892-1900, transferred from exceedingly scarce brown wax cylinders and Berliner discs. 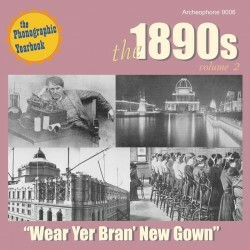 More hits by the biggest artists of the American 1890s, such as Gilmore's Band, Cal Stewart, Dan Quinn, George Gaskin, Arthur Collins, and John Yorke AtLee. Standout tracks include the hitherto unattested cylinder of "Silver Threads Among the Gold" by J. W. Myers, the 1894 recording of "Then You'll Remember Me" by the U.S. Marine Band, an exceptional copy of "Casey at the Telephone," ca. 1896 by Russell Hunting, and the ultra-rare "Daddy Wouldn't Buy Me a Bow Wow" ca. 1892 by Silas Leachman for the North American Phonograph Company of Chicago. The deluxe 24-page booklet includes lyrics and bios and pictures of selected songwriters, a timeline of when the songs first hit big, and an historical essay focusing on major technological innovations of the decade. Companion volume to ARCH 9004. 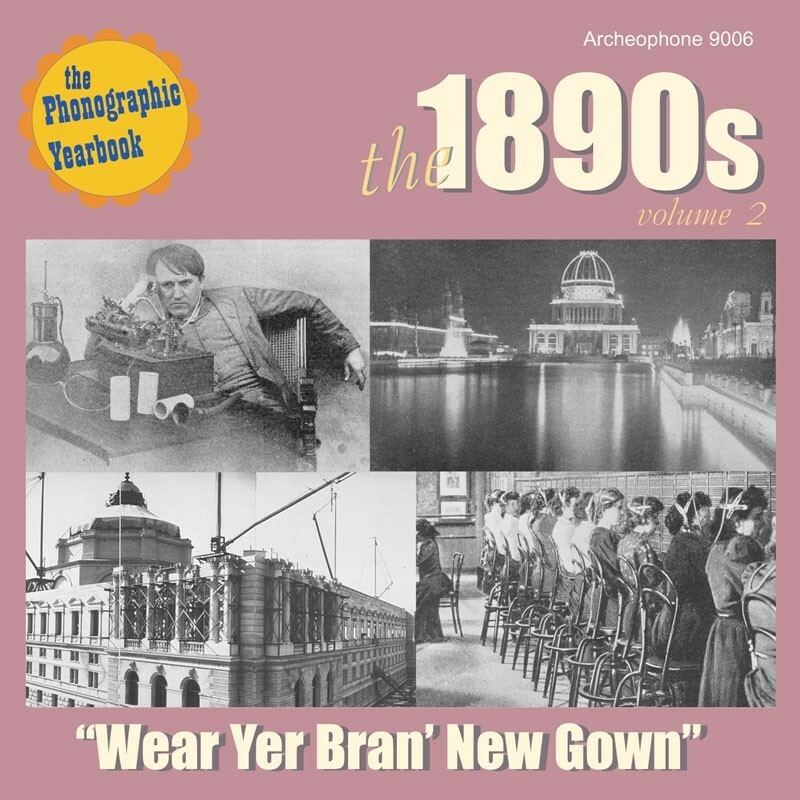 Visit The 1890s, Volume 2's expanded catalogue page to see the complete track listing, read an extended description, and listen to sound samples.